Trigger.new and Trigger.old both are context variables in Salesforce. Trigger.New: Trigger.new returns List of new records which are trying to insert into Database. This is available in Before Insert, Before Update, After Insert, After Update Triggers and undelete Triggers. This list of records can only modified in Before triggers. Trigger.Old: Trigger.old returns List of old records which are updated with new values. These List of records already there in Database. Trigger.old available in Before update, after update, Before Delete and After Delete triggers. Trigger.old- List of Records with old values. Example: I have a scenario like when Account Phone number is updated then Account Description value should be updated with old phone number+new phone number. 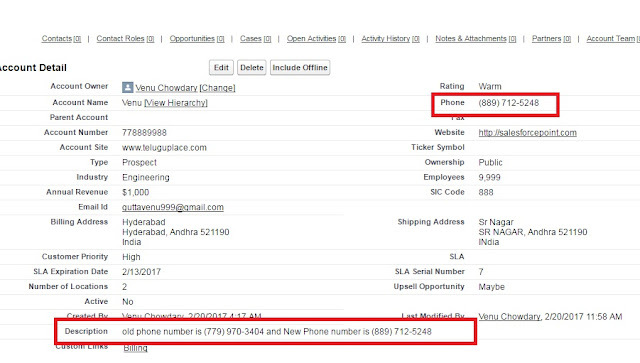 I have updated phone number 7799703404 with new phone number 8897125248 and saved the record. 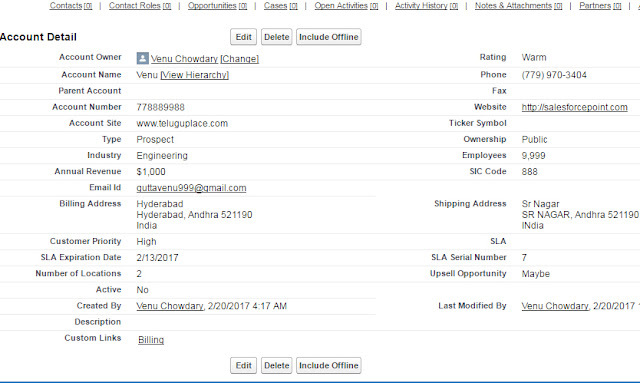 Then description field automatically updated with "old phone number is (779) 970-3404 and New Phone number is (889) 712-5248". 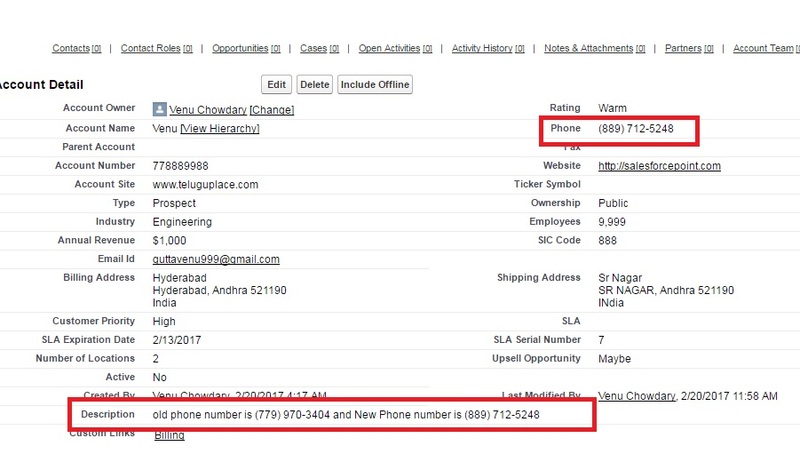 In above Example Trigger.new record holds new phone number 887125248 and Trigger.old holds old phone number 7799703404.